Courtesy of JP and Associates McKinney, Charise Alberty. Imagine waking up in your cozy master bedroom every morning, making your way into your ceramic tiled kitchen with granite surfaces and a spacious island to pour yourself a fresh cup of coffee or hot tea! This spacious, open floor plan is perfect for all! 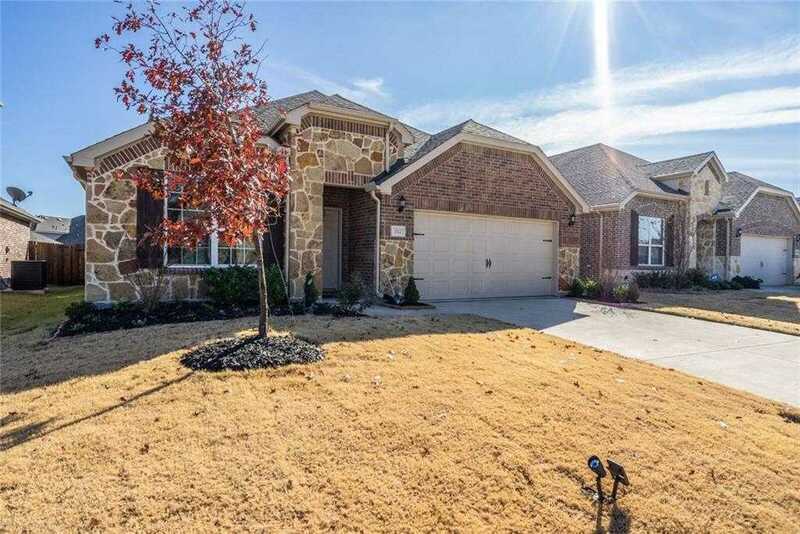 It boasts a floor to ceiling rock fireplace, designer lighting, stainless steel appliances, carpet in the spacious living room, den, and bedrooms with ceramic tile in the kitchen, hallways and baths! Decorative trim is an added designer touch on the oversized island in the kitchen and to add to the excitement, the xD; xA;LG Door-in-Door 29.9 Cu Ft. 4 door French Door Stainless Steel Refrigerator STAYS! Also, the Samsung washer and dryer combo STAYS!